Before you run to the hardware store to buy a new gas grill you should know that there are a lot more grills out there than you'll find in one store. We've broken down the best gas grills on the market by price so you can find the perfect gas grill for you. While many of these gas grills are easily found, try shopping at specialty grill stores for the best BBQ grills. Updated for 2019. If you are looking to purchase a new gas grill for no more than $250 (based on typical sales price) then these are the ones you should be looking at. You get what you pay for, so don't expect these grills to last forever or cook well, but they should serve you for a couple of years and do an okay job of grilling burgers and hot dogs. 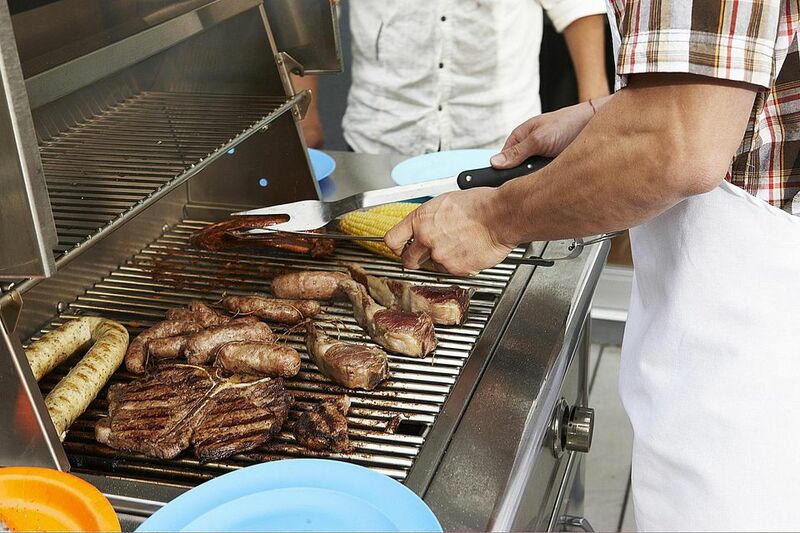 These are the most common and familiar gas grills on the market. You'll find many of these grills in local stores, but there are other grills you should consider that can be a bit harder to find. If you are interested in grilling hamburgers or steaks these gas grills will do the job. Some of these grills have additional features like side burners and rotisseries, but we suggest you keep it simple. You'll get more with these gas grills that are typically made from some stainless steel components. These grills will give you a more stylish grill and give you more versatility. If you are looking for more than the same old black box grill you might want to look here. These gas grills usually offer better warranties and are built to last longer. Gas Grills in this price range should be powerful, have good features, and quality construction. This doesn't mean complete stainless steel construction, but it does mean durable construction. Look for brand names and be prepared to look beyond the big box stores. The best place to find these gas grills is at a local Barbecue Products Specialty Store. These top of the line gas grills come with a top of the line price, but if you want the best of the best these are the grills for you. Spare no expense and get the gas grill that not only impresses your guests but can grill anything, and we mean anything. Make sure you know who is selling you one of these grills so you know you will get the support and installation you need. Sometimes you just don't have space for a big grill. Whether you live in an apartment, condo, on a boat or just don't have a big patio, it doesn't mean that you can't enjoy a good cookout. Try one of these smaller grills in gas, charcoal or electric to give you real grilling flavor and fun. Remember to check with the local rules where you live to know what kind of grill you can have. Most apartments don't allow gas or charcoal grills. This list contains a wide range of types and prices. These gas grill inserts represent the best to be had for less than $4,000. There is a lot to choose from, but it is important to remember that if it is permanently mounted to a custom grill enclosure it should last for many years. These grills offer the best longevity, features, and grilling capabilities to be had for a price that won't break the bank.